Santa Gertrudis is an inland village, that has become one of the most charming rural centres on the island. Eating a cured ham roll in any of its pavement cafes like Bar Costa is a tradition for both locals and tourists. It also has handicrafts shops, antique shops, and avant-garde cuisine restaurants like Macau. Santa Gertrudis is located in a road junction which links it to Ibiza Town, San Miguel, San Lorenzo and San Matteo. The centre of the village is dominated by a church founded in 1797. The façade has been altered several times, the same as the belfry, which dates back to the XIX century. 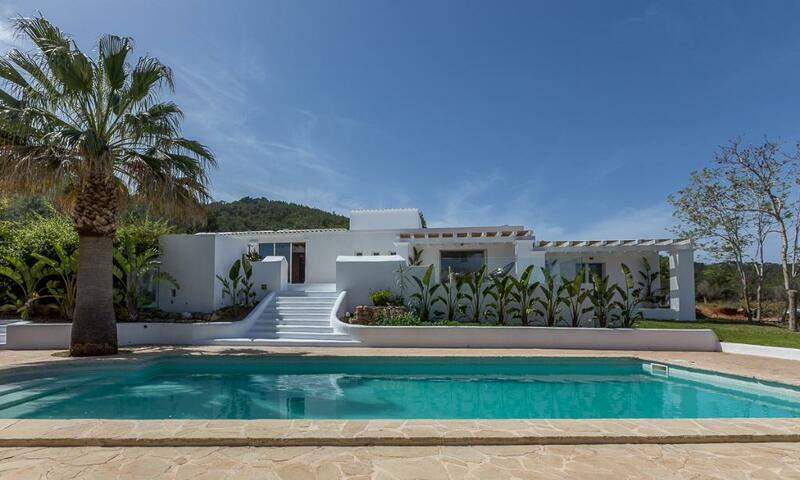 Villa with private pool in Santa Gertrudis, Ibiza, Spain for 4 persons. Large and comfortable villa with private pool in Santa Gertrudis, Ibiza, Spain for 12 persons.